We are having more good days than bad days, thank goodness!! Lil tiny princess is 1010 grams!!! Or 2.22 pounds! She looks SO big to us!! Each day I keep thinking she is going to lose the weight tonight, since for the last month she would gain weight one day & the next lose it. But she keeps proving me wrong! For the last 3 days straight she is gaining! Briella's nurse the other day said that he was a rock star, a teeny tiny little thing showing up all the big guys. She has had a great weekend. Mommy got to hold her all day yesterday! It was so peaceful and just, great. 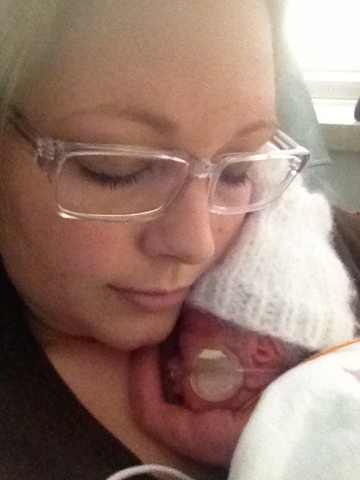 The little girl did pull out her feeding tube DURING a feeding on me yesterday. But it just made for a funny memory. 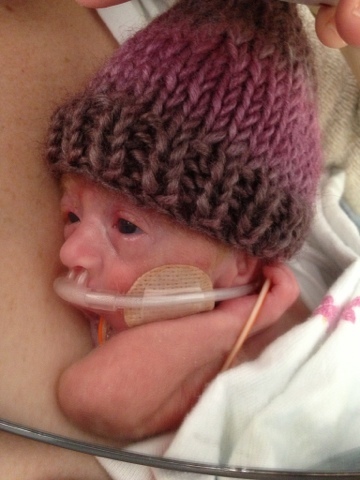 Briella is still doing good on her nasal cannula. I have complete faith that she will be on it full time next week, instead of rotating between cannula and CPAP every six hours. When she's on CPAP, she's usually at 21%-25% oxygen. We breathe 21% oxygen. So that's great! Friday the freezer at the NICU went out so all my (little amounts of) milk I had to rush home and clear out our freezer to save it! It's a huge deal because we are still trying to prevent NEC. 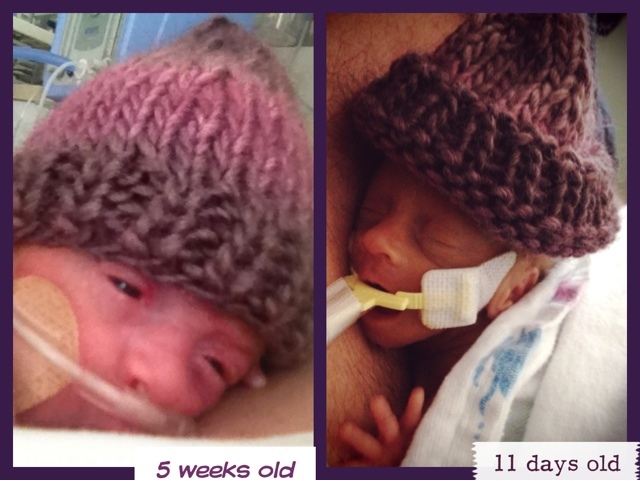 It is very life threatening, and breast milk is the only way to decrease our chances of getting it. This weather has me dreading this winter! I am not looking forward to the drives back and forth (40+miles) in slick icy roads. Hopefully it is a very mild winter like last year! Otherwise we might be using hotels near the hospital. Edited Sunday night 9pm: Briella now weighs 1050 grams, 2lbs 5oz!! 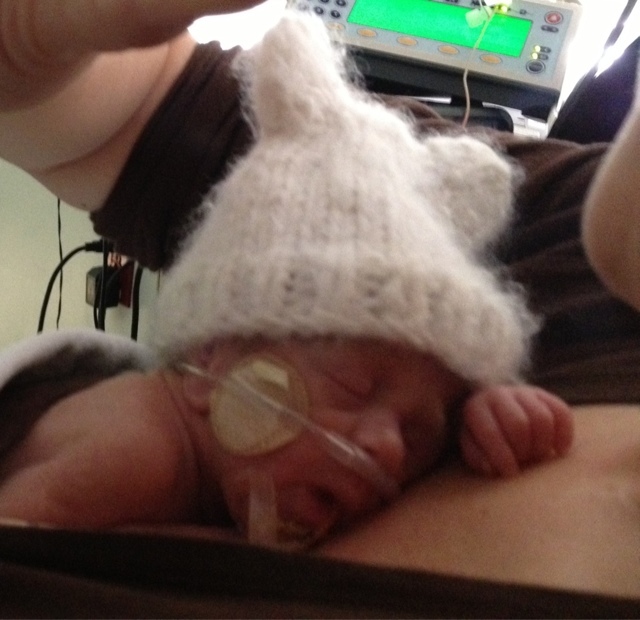 Edited again at midnight: They are leaving her on the cannula (since noon) to see how she does. As of now she has been on it 12 hrs straight and has not tired out!!! So proud of my baby! !